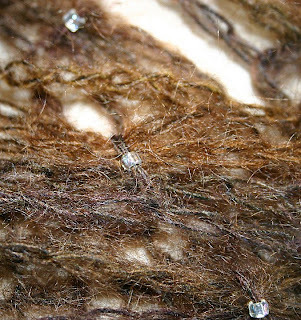 Just added my first 'for sale' pattern to the Ravelry Store. 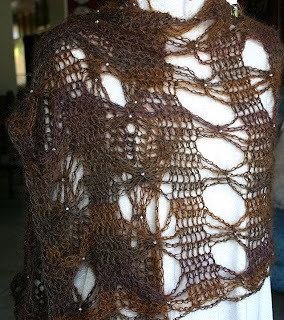 I came up with this shawl pattern - Beads 'n Bows - while teaching a class. Got to thinking hmm, wouldn't this look good as a shawl . . . . in mohair . . . . if I change this . . . . and add beads . . . .
Two days later, it was done. Using a 9.00 mm ("N") hook and DK weight mohair, it worked up fast. It's warm, lacy, and lightweight. 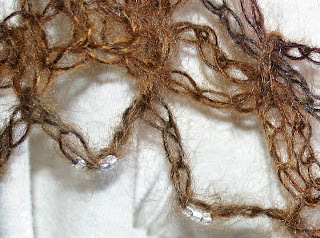 The beads in the final row give it a little weight, so it keeps its shape and stays in place in a breeze. I love it. Now we'll see if anyone else does. 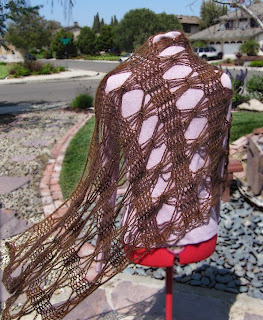 Bead 'n Bows Shawl - a crochet pattern with beads.